Whether you're wanting a break from the wine or you are the designated driver for the day, Penfolds Barossa Valley Cellar Door have a wonderful array of local treats. 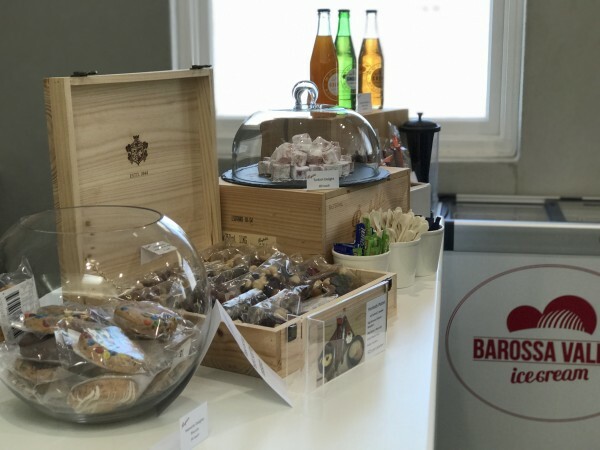 Some of the goodies include Barossa Valley Ice Cream, Steiny's Bierstick, Barossa Cheese and Turkish Delight pieces! Not to mention the tea and coffee is supplied by a tenant from Provenance - Bean Addiction!